November 11, 2017 0 comments on "A look into real world cycling aero gains – Intro and Part 1 on Clothing"
The study of aerodynamics is a science, but when it comes to cycling it can be a bit of a black art. Go to any bike shop and you will see options from aero frames, aero helmets, aero bars, aero wheels, aero clothes, and the list goes on. But it’s unclear which of these offers the greatest benefit to the modern cyclist – and how much of an impact they will have in real world settings. For example, Specialized claim that their latest Venge bike can save you a whopping 5 minutes over 40km’s. But what is that primarily due to? The frame, the bars, the wheels, or the riders body position? And what are they comparing it to? It’s hard to know and Specialized doesn’t release that information. Furthermore, most cycling conditions are anything but what are offered in wind tunnels. Terrain is often undulating and intermixed with steep hills, rolling descents, rain, crosswinds, potholes, traffic lights, rough surfaces, and bare tarmac. It it faster riding a lighter bike? Or is it better to invest in a more aero one? Throw in group rides, drafting and tight cornering in crits… and one wonders if all the “science” is truly relevant to the real world. I’ve ridden a 2005 Trek 2100 for the past 12 years. It lacks a lot of the features found in modern bike design. Yet, during group and solo rides alike, my times are very similar to riders with much more aero setups. Which has got me wondering, what are the real advantages to aero? And is there a clear cost/aero equation one could use to ensure they really are getting the best bang for their buck? Welcome to part 1 of a multi-part series on aero dynamics where I will be sharing what I’m learning through the tests of others and personal experiences. This will be an attempt to reconcile industry tests/results with the real world. I will be starting with the cheapest options for aero savings (clothing and body position) and working my way eventually to what I’ve learned about aero frames. 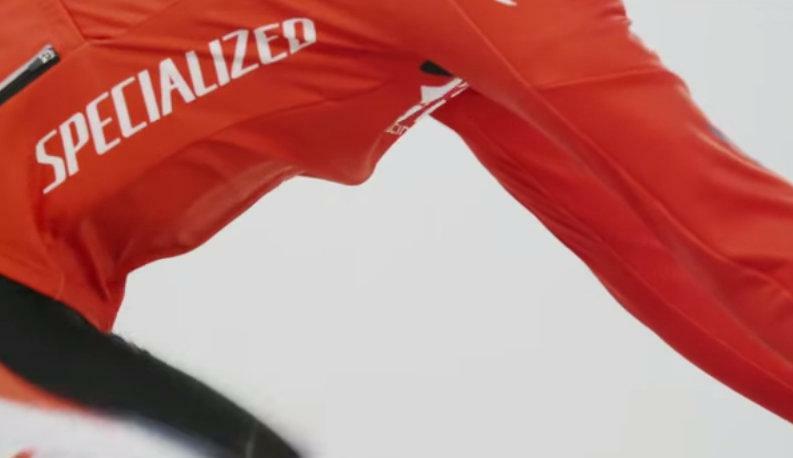 Specialized and recently GCN (Global Cycling Network) have released tests on loose fitting cycling apparel versus form fitting ones. And the results… are interesting. Using a wind tunnel Mark Cote and Chris Yu of Specialized ran their tests at 50k/hr. And tested both winter gear and warm weather kits. According to their findings, there was a difference of 83 seconds over 40 kms for the cold weather clothing. For the warm weather gear the difference was 91 seconds between a size M club fit jersey and a size S form fit jersey. But how does it compare to the real world? Well that’s where GCN’s test comes in. Click here to scroll down to see GCN’s results on cycling aero performance savings with regards to loose fitting versus form fitting clothing. When did aero first become important to me? Watch World Tour cycling and it’s perfectly obvious why aerodynamics is important when race leaders are separated by seconds and time trials can split the field. But what about the recreational racer? In 2016 I road what was to be my second last event of the year. The morning started as many epic autumn rides do; with light sprinkles of rain and the threat of more to come. I put on a blue Sugoi cycling jacket gifted by my parents. It’s a great design (or so I thought). The arms and back are held together by magnets and literally peal away if needed to reveal a vest. It’s perfect for layering. The peloton split early. I joined the front group as we attacked the first climb. I’m a climber, I don’t have a specialty per se, but if I did it would be climbing. I noticed immediately that the ride was feeling tougher than usual. I took note that my legs weren’t as recovered as I thought they would be. Slowly I lost touch of the riders. Dropping back about 200ft. We hit the flats and I felt confident that I would find my rhythm and catch them. It was an out of town event, but a strong rider that I knew had also lost the front group, so I intended to catch his wheel and then catch the front group again. Unfortunately neither of those scenarios panned out. Riding on a relatively flat section I was easily 3km/hr slower than I would normally ride and was feeling frustrated at my apparently tired legs. The leading pack was long gone and soon I was caught by a strong chasing group. To make matters worse my father was in it (he’s a very fit father *cough). By now the rain was beginning to open up and soon it was pouring down. I joined the second group. And by the latter leg of the race my pace was closer to normal. Looking at the times at the end of the day it turned out that my father and I finished just 4 minutes behind the race leaders. How could this be? I thought, clearly the front group had been riding much stronger. The reason should have been obvious, but I didn’t know what I didn’t know. Later some of the riders came up to me and joked about my parachute. Unbeknownst to me, the clever 2 part design of my jacket had caught the wind and converted the top layer into a perfect parachute. It wasn’t until the rain started pouring that the jacket was soaked enough to stay compact. I thought long and hard about the results of that ride and have since learned that clothes can make a significant difference to aero performance. As we’ve learned from Specialized’s wind tunnel test. GCN also posted an excellent video evaluating the speed difference between a loose fitting cycling jersey (say 1 size too big) versus a snug one at the same watts. The results were equally surprising. This was a real world test held at 3 different intervals of power. As you can see by this picture. At just 200W average a rider has a 0.8km/hr advantage with a tight shirt versus one with a relaxed fitting shirt. This goes up to 1.8km/hr at 400W. When one considers the times they are pulling at the front of a group, closing down on a leading peloton or attacking solo, these numbers suddenly become much more important. What have your experiences been with aero? Have you noticed a major performance advantage or disadvantage? Cycling is as much about science as it about personal stories, please share yours in the comments below.